A woman has a second chance at love in this novel from the author of Richard & Judy bestsellers `Notes from an Exhibition' and `A Perfectly Good Man'. When forty-something Laura Lewis is obliged to abandon a life of stylish independence in Paris to care for her elderly mother in Winchester, it seems all romantic opportunities have gone up in smoke. Then she runs into Ben, the great love of her student days - and, as she only now dares admit, the emotional touchstone against which she has judged every man since. She's cautious - and he's married - but they can't deny that feelings still exist between them. Taking its structure from the events of a single summer's day, The Whole Day Through is a bittersweet love story, shot through with an understanding of mortality, memory and the difficulty of being good. In it, Patrick Gale writes with scrupulous candour about the tests of love: the regrets and the triumphs, and the melancholy of failing. 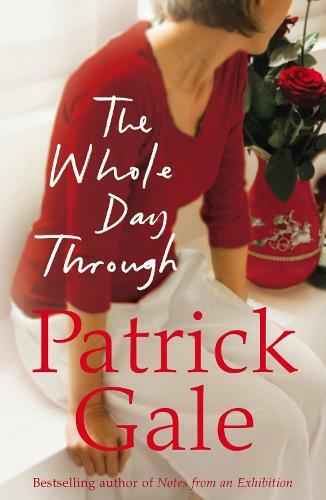 The Whole Day Through is vintage Gale, displaying the same combination of wit, tenderness and acute psychological observation as his Richard & Judy bestseller Notes From an Exhibition.